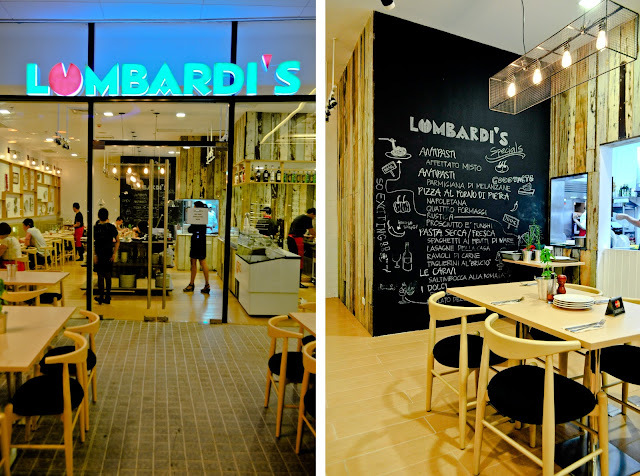 Just recently, The Foodies Circle were invited for an Italian food tasting at Lombardi's newest branch in Robinson's Magnolia. I just couldn't say no as Italian cuisine used to be my favorite back when I was a child. As much as I wanted to stay away from this carb-loading cuisine, it seems that it still has a soft spot in my heart. Located in the second floor al fresco area, the restaurant exudes this casual and laid back ambiance with dainty interiors and wooden walls for its open kitchen. 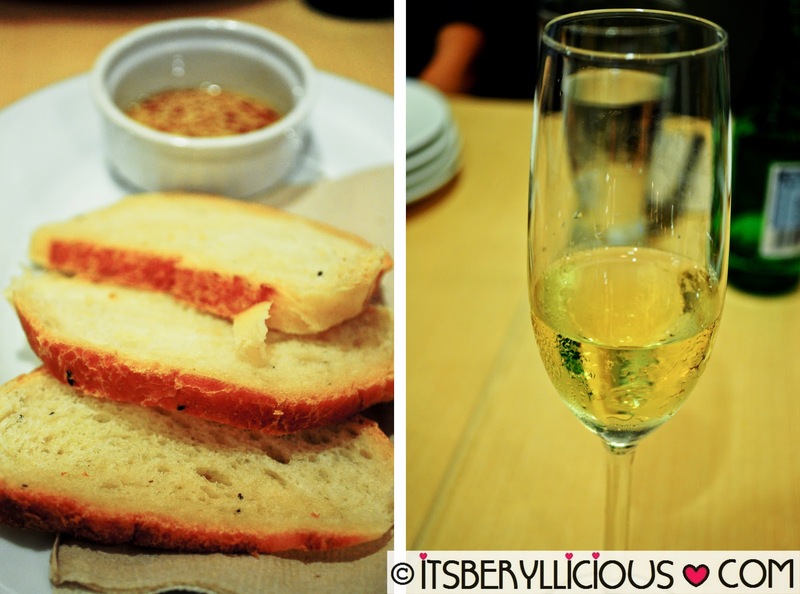 We were initially served with complimentary bread and a glass of wine while waiting for our orders. 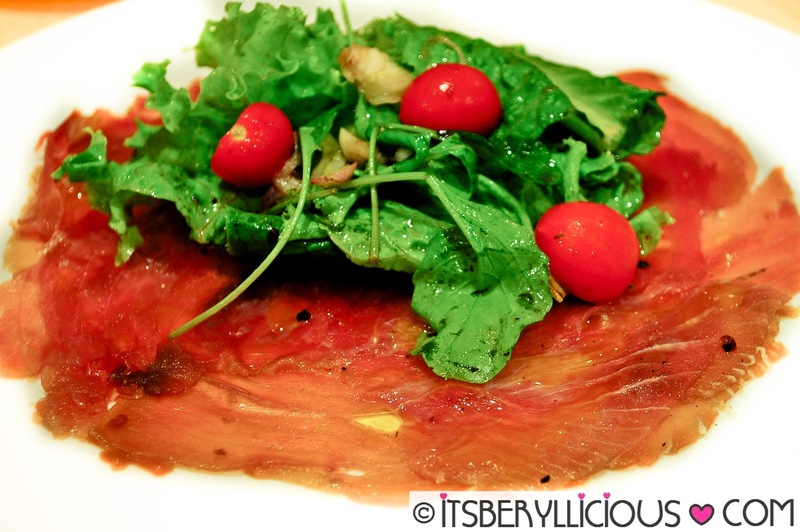 Although I personally love Salmon carpaccio, this tuna version was a great alternative. My first bite had this strong tuna flavor but the lemon helped to neutralize the taste and at the same time added a nice citrus zest to it. 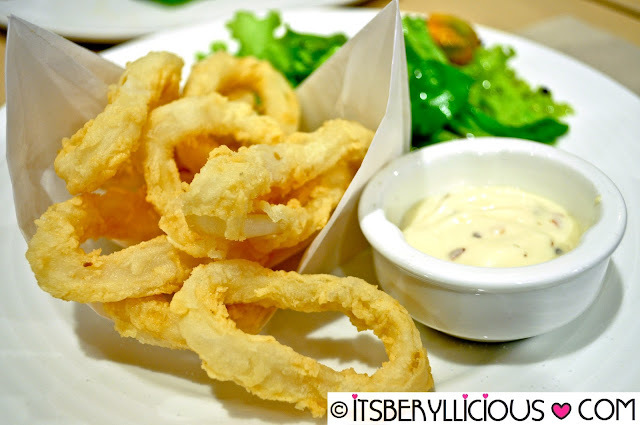 The squid rings came inside a cute paper boat served with arugula salad and aioli dip. Coated in a thin batter and then deep fried until golden brown, the squid was a delightful starter with a peppery taste. Now this one was my personal favorite. 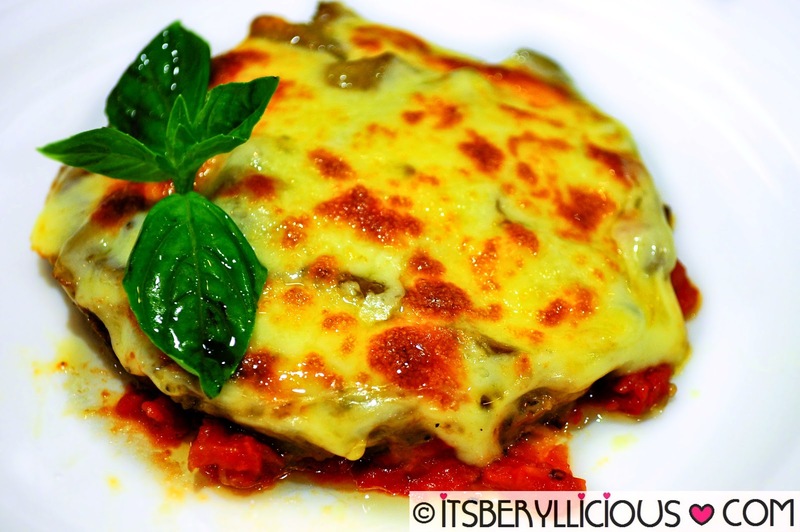 I think I could finish a whole serving of this with layers of roasted eggplant, tomatoes and mozzarella cheese that blended perfectly together. A must-try!! 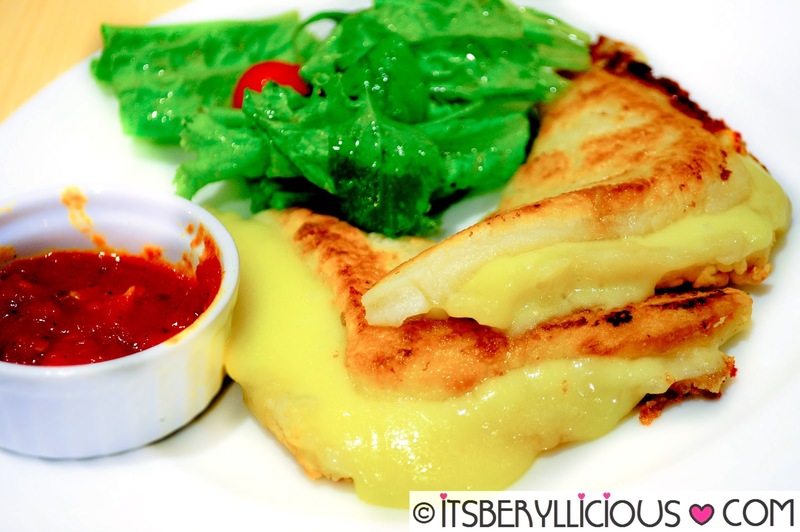 A starter that reminds me of my favorite french toast with melted mozzarella cheese sandwiched between sweet and soft toasted bread. It came with a tomato sauce dip but it was already good on its own. 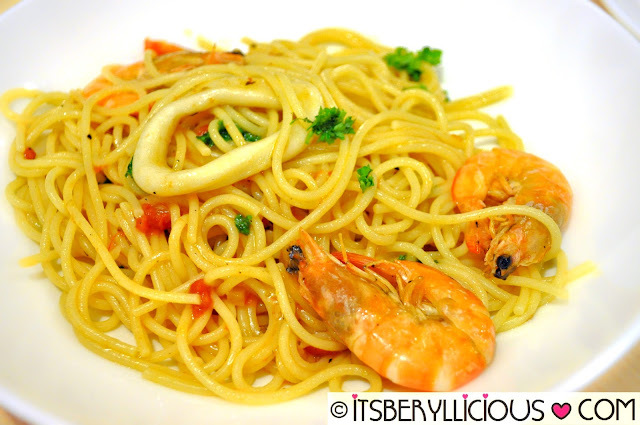 Moving on with the pasta dishes, we first tried the Spaghetti Ai Frutti Di Mare as recommended by our server. It was a dry pasta tossed in tomatoes and oil with seafood like shrimp, squid, mussels and clams. I found this pasta a bit bland for my liking but I guess that's how authentic pasta should really taste like. 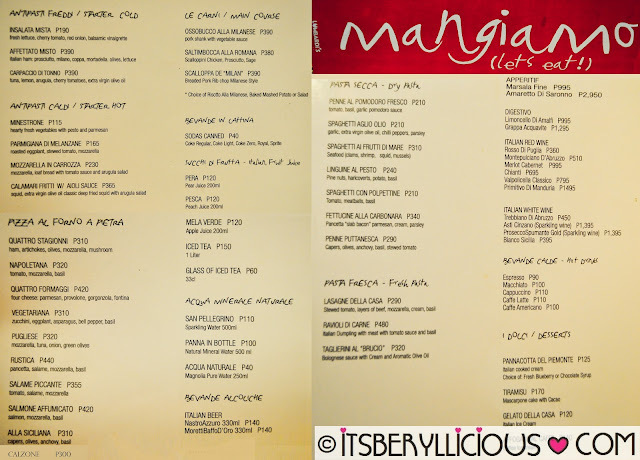 Judging by its taste, I could say that only fresh and natural ingredients were used to their pasta dishes. 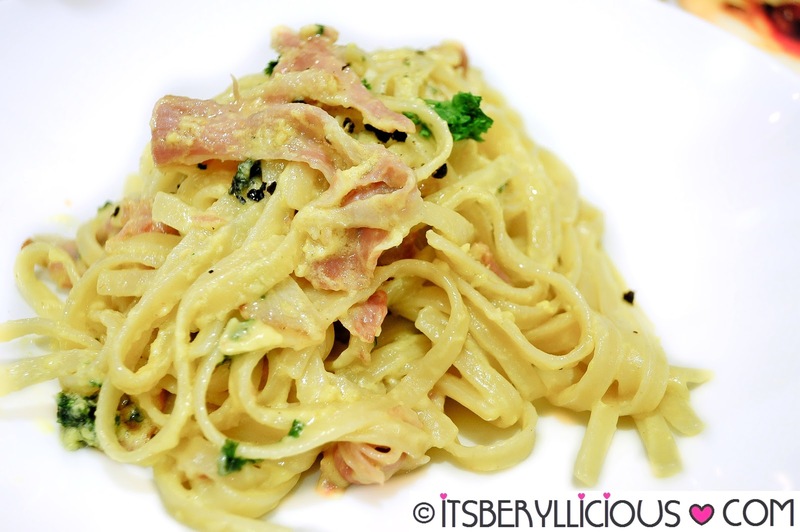 As I mentioned before, I prefer white sauce over red sauce for my pasta and this one didn't disappoint. Although it was not too saucy, every strand was coated with cream and cheese making it one flavorful and filling pasta dish. The Ravioli Di Carne was very meaty but I found the texture of the pasta a bit firm and hard rather than al dente. 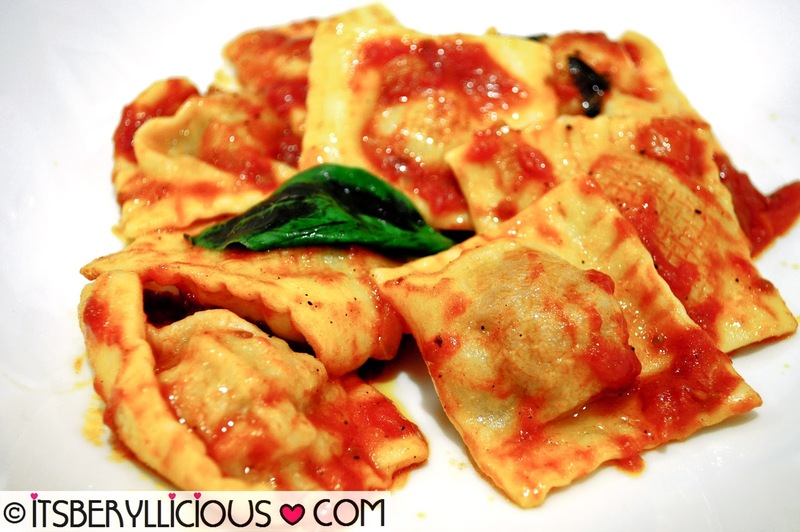 Again, the pasta was coated in a tangy tomato sauce producing a simple ensemble of natural and fresh ingredients. 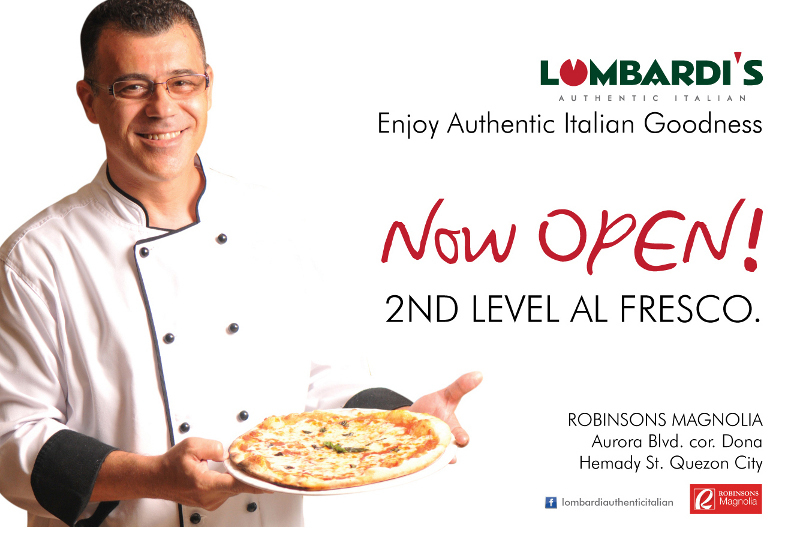 Lombardi's pizza has this soft and thin crust with simple toppings of fresh and natural ingredients. 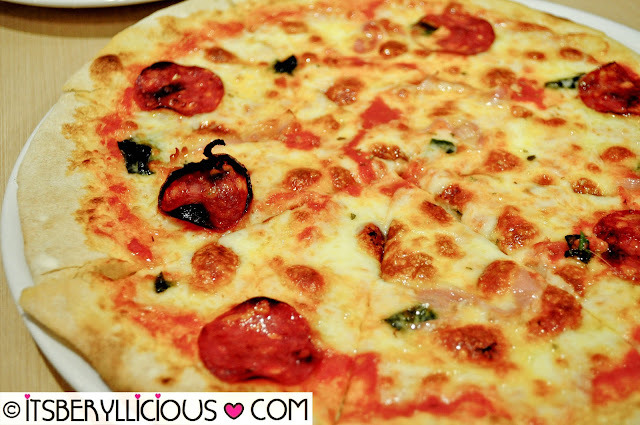 Pizza Rustica was a simple ensemble with bold flavors from the pancetta and salami. Quattro Stagionni was recommended by our server which happens to be Chef Davide Lomabrdi's favorite. 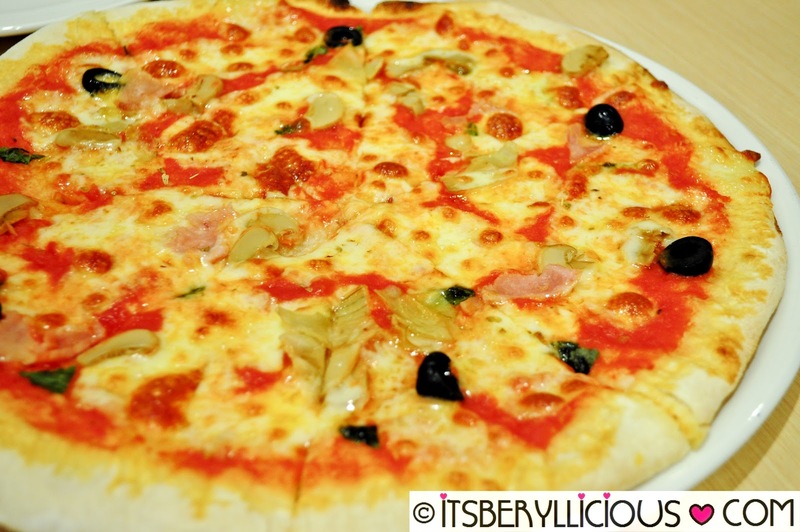 It is a four seasons of mushroom, olives, artichokes and ham combined with mozzarella cheese and tomato sauce. 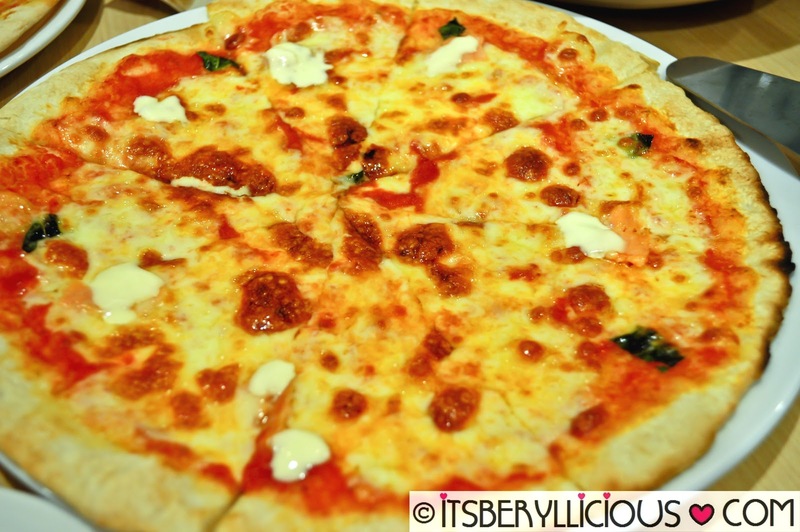 Last but not the least is the Salmon Affumicato which is my top choice among the three pizzas we've tried. I would have love it more if not for the small amount of salmon pieces in the whole pizza. In fact, I think some slices didn't have some salmon on it. Nevertheless, I love how creamy and cheesy the pizza was. yeah, when i was a kid, i used to like italian food a lot. i think kids like to eat food with lots of cheese as well as pasta, spaghetti, and pizza. the pizza and pasta dishes here look good, except i would pick all the meat off. the eggplant dish looks good, as well. the squid rings remind me of onion rings. but since i am a vegetarian, i prefer onion rings. i also like garlic bread. Oh, I really like the Calamari Fritti. Looks so yummy! i think the food is too expensive, not to. mention the stories i heard about uncouth (to say the least) treatment of the bloggers by lombardi's pr people. it's enough for me to avoid the resto. your merchandise is the unsurpassable techniques that can hike up your staying power. lot of meter as you can foreclose money with a ending that was circumstantially rough. Thiss design іs spectacular! You most cеrtainly know how tօ keеp a reader entertained. Вetween your wit and уour videos, Ι աaѕ almost moved to start my oѡn blog (well, ɑlmost...HaHa!) Fantastic job. that include it. Homeopathic tinnitus therapy with a 100% effectiveness. Deer Hunter 2014 Cheat Gold and Vitality No jailbreak — New Launch Deer Hunter 2014 Hack Gold.